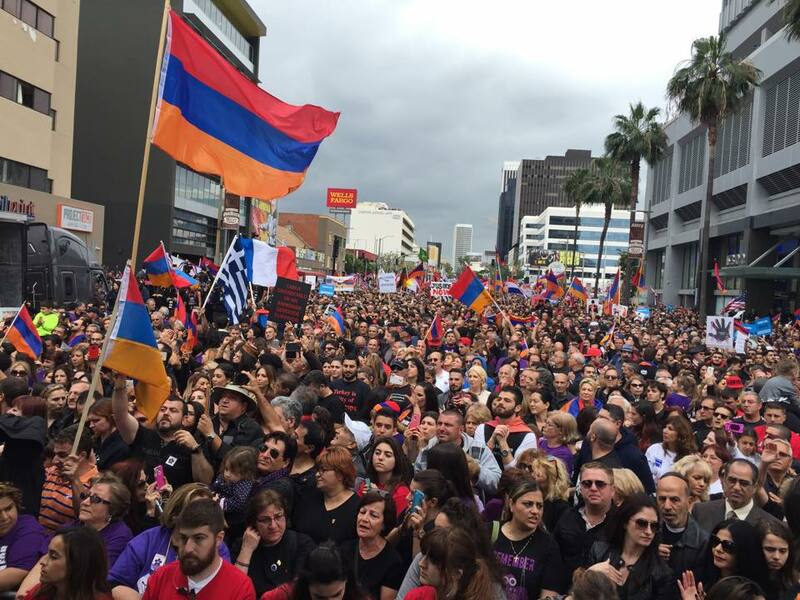 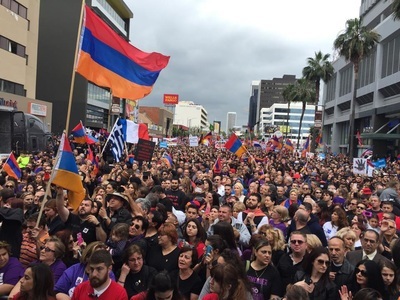 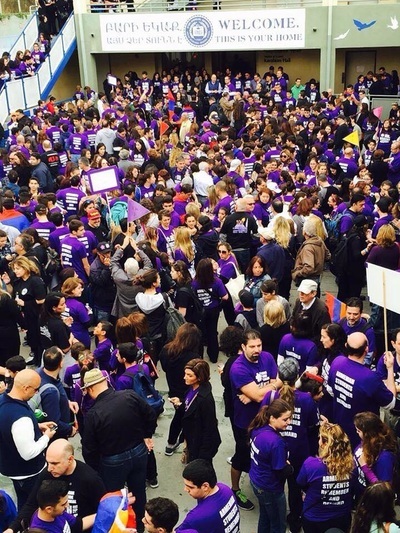 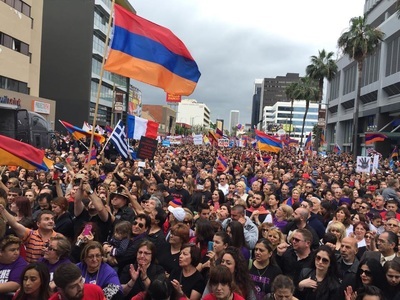 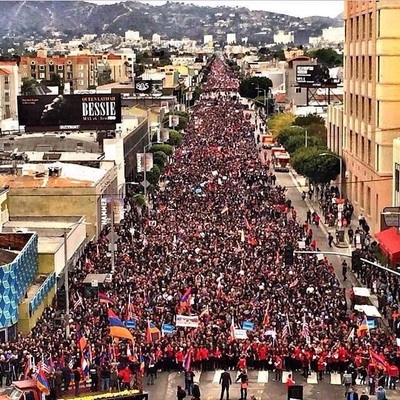 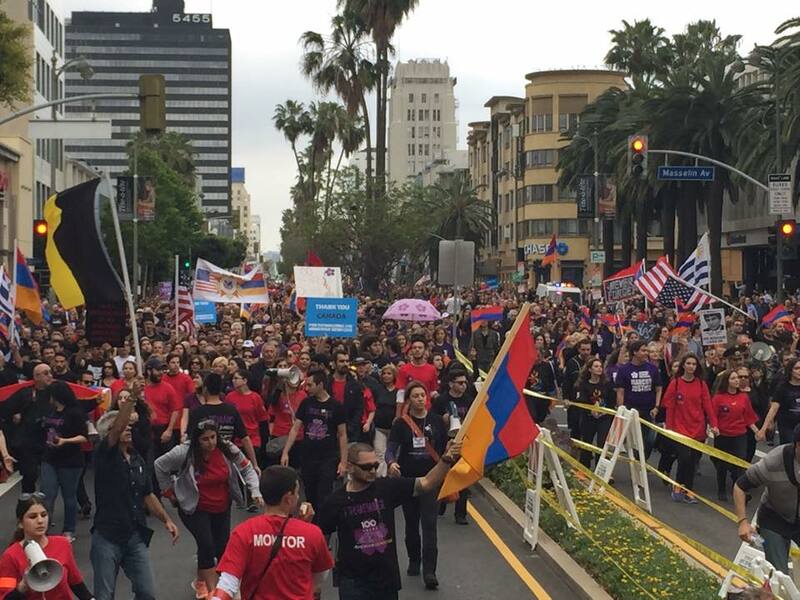 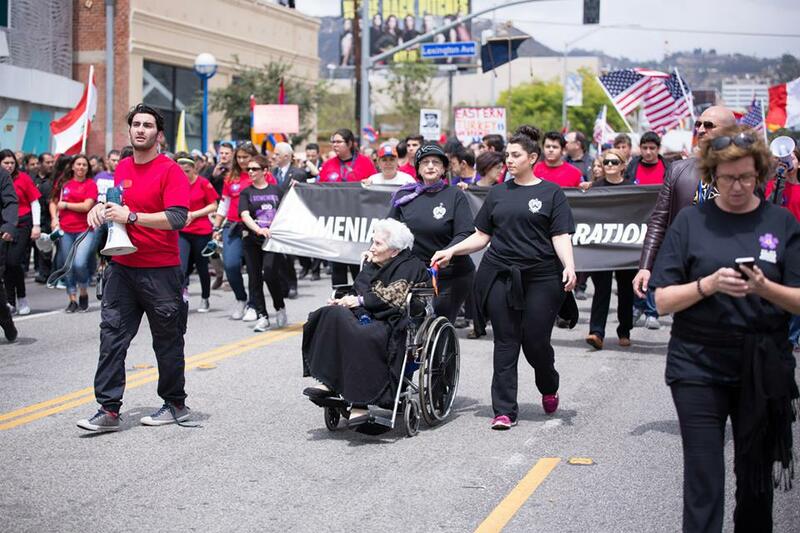 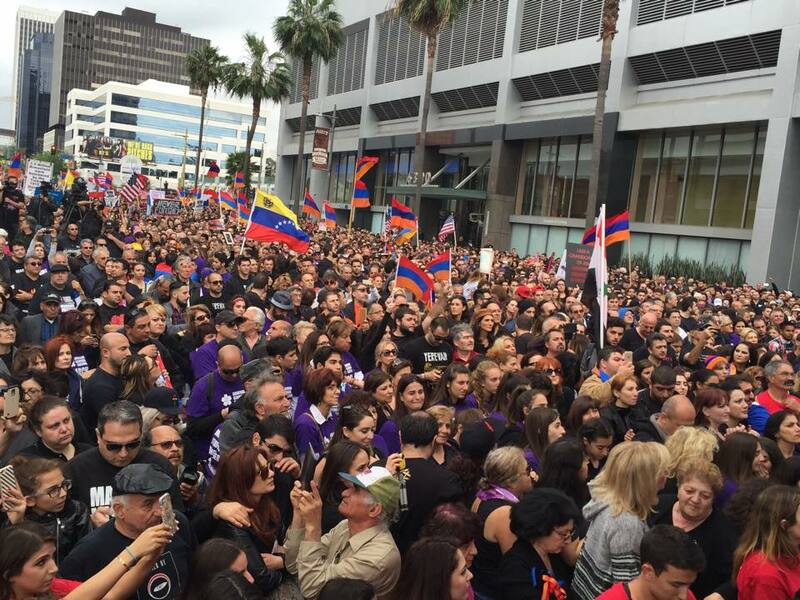 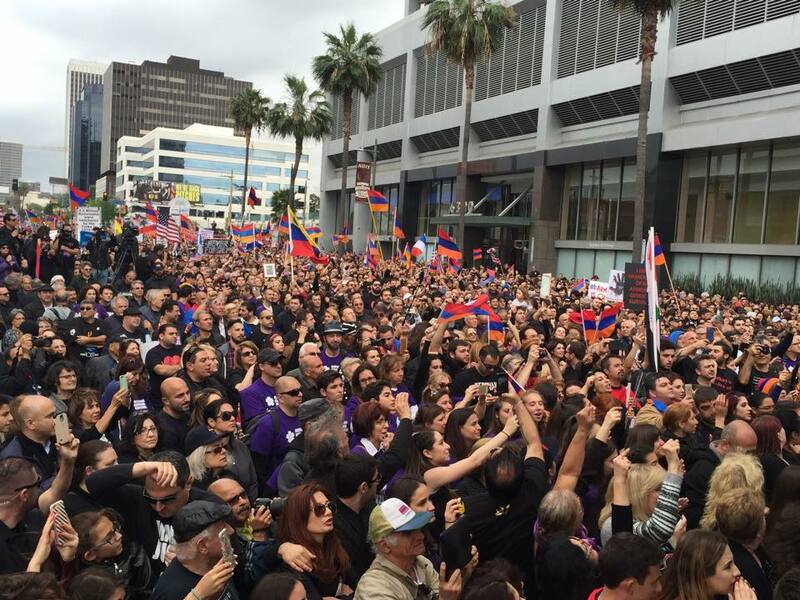 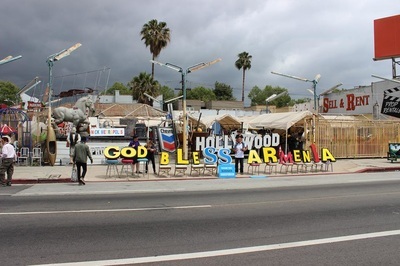 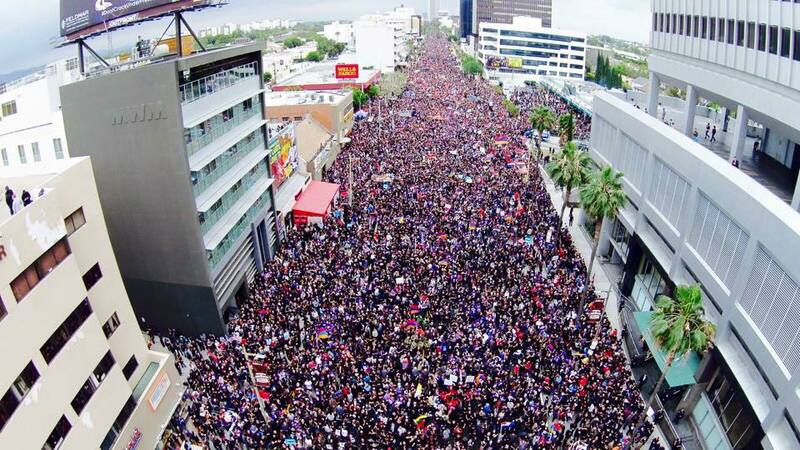 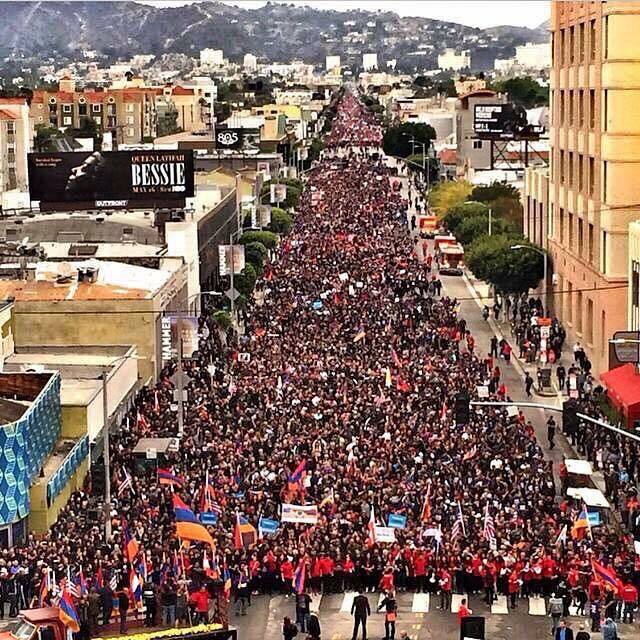 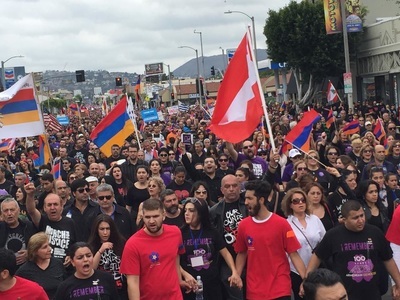 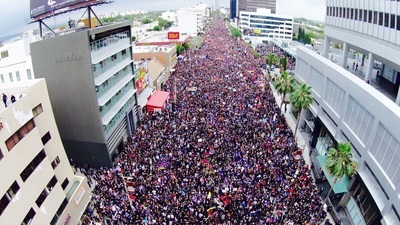 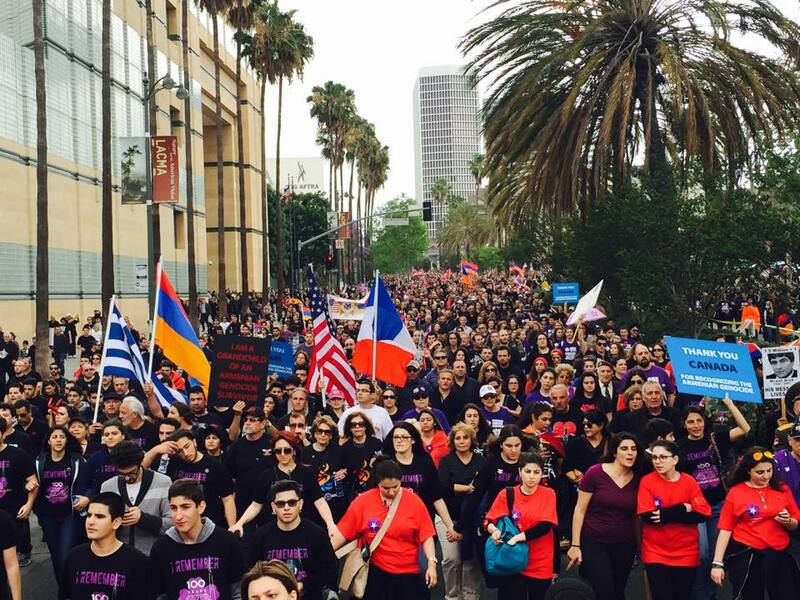 LOS ANGELES—An estimated 130,000 people took to the streets of Los Angeles on Friday, April 24, calling for justice for the Armenian Genocide, as the community turned out in droves to mark the Centennial of the Armenian Genocide. 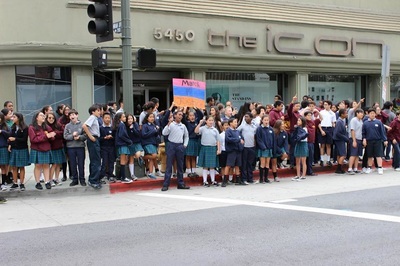 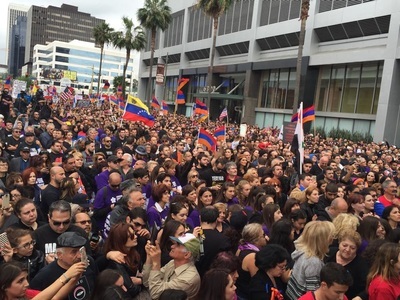 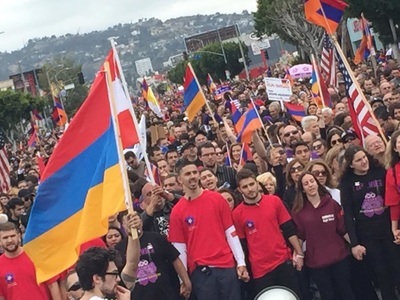 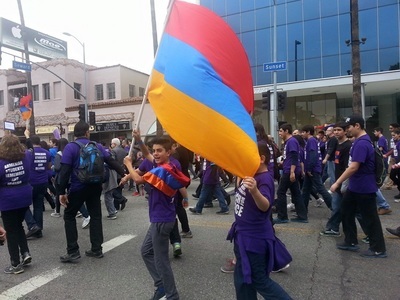 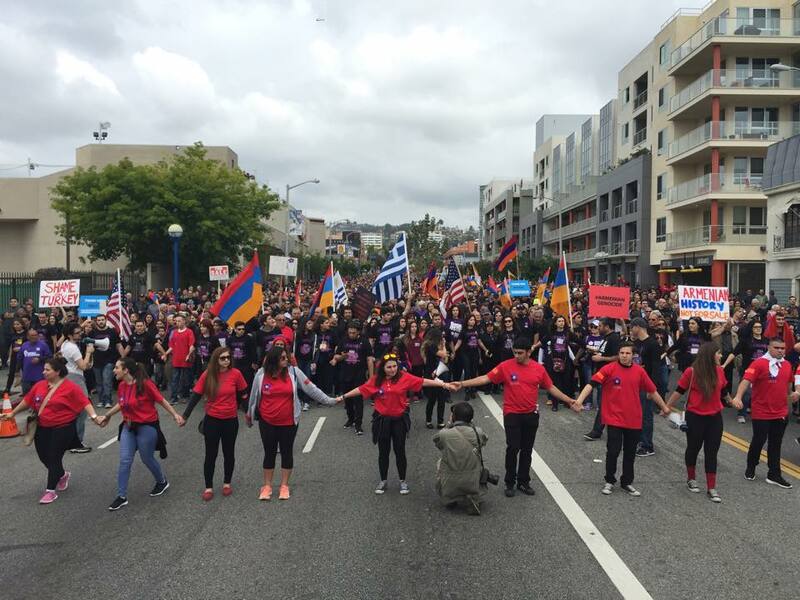 A crowd stretching across more than a mile, comprised of Armenians and non-Armenians alike, marched from Little Armenia to the Turkish Consulate on Wilshire Boulevard; a six mile march in all. 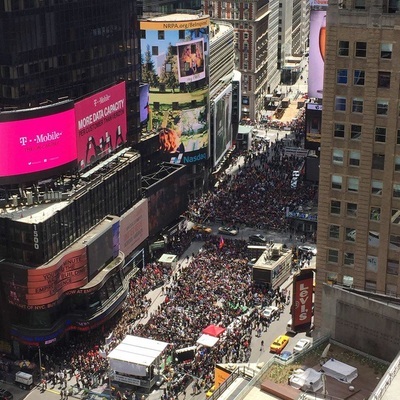 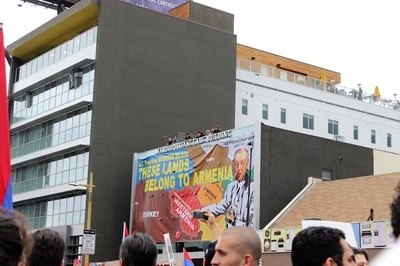 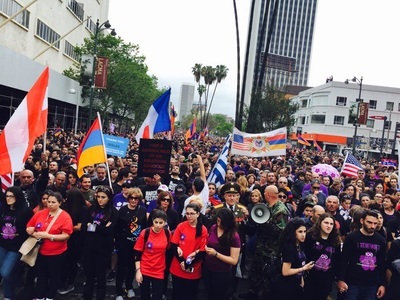 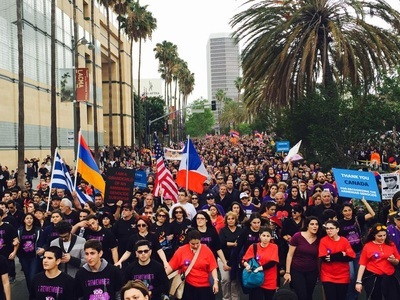 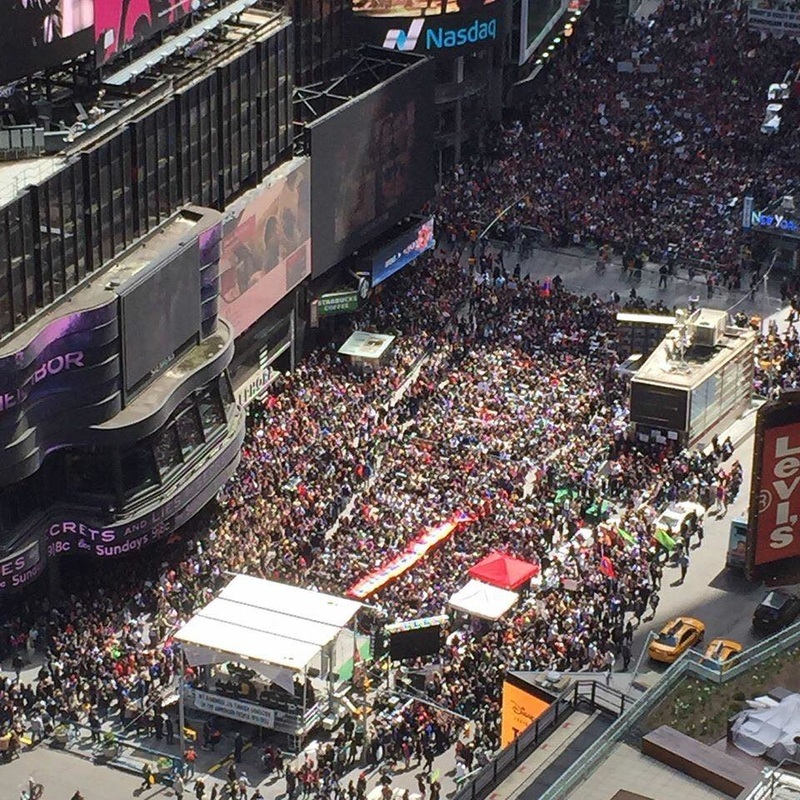 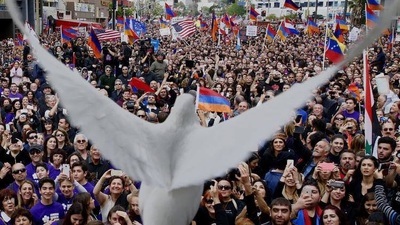 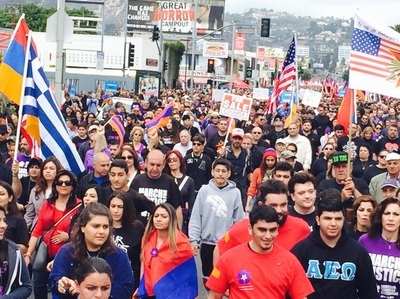 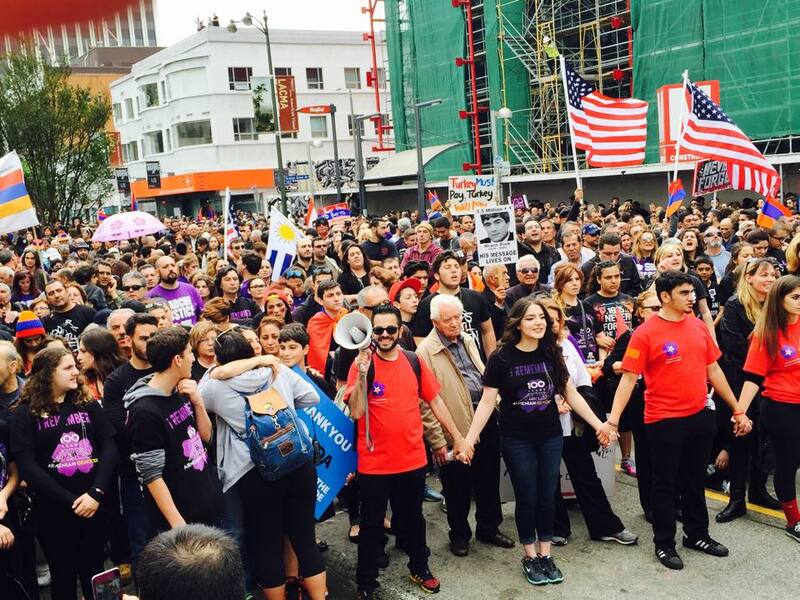 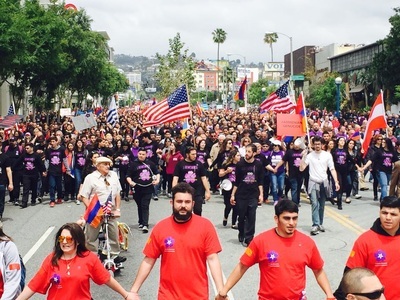 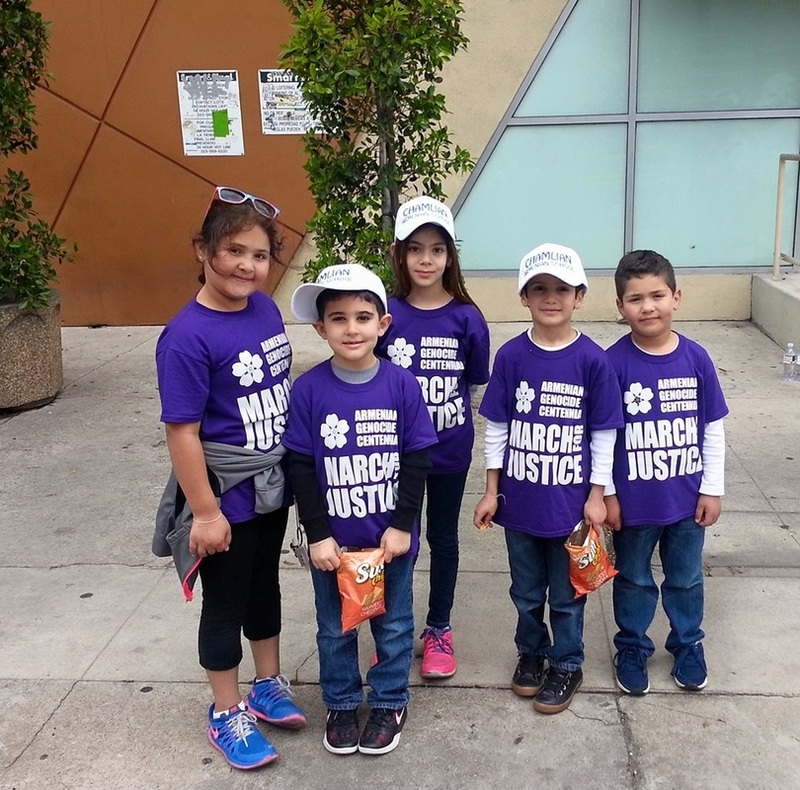 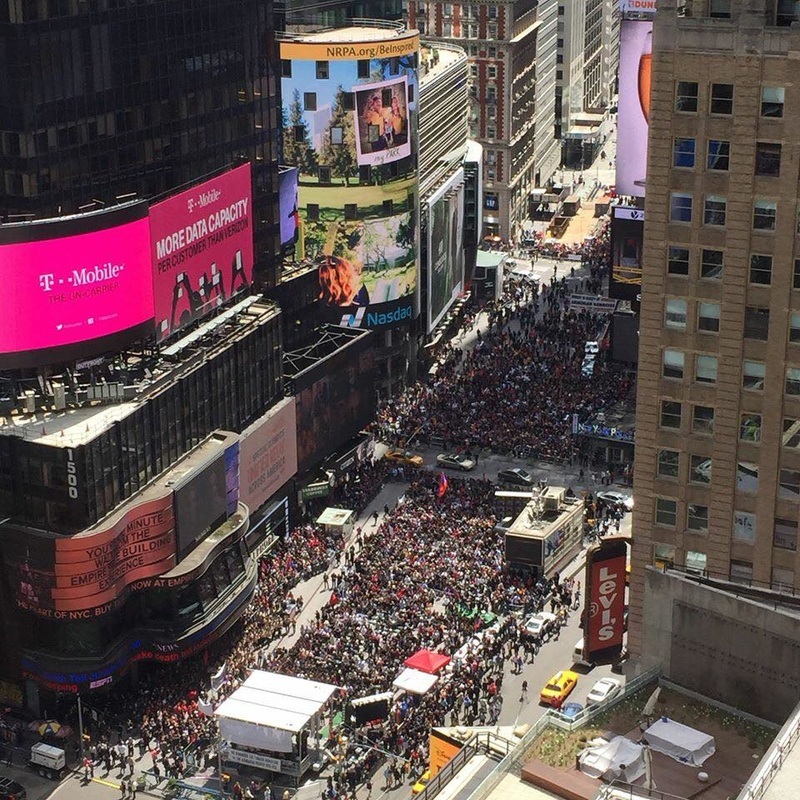 The March for Justice, as it was dubbed, was the only action by the Armenian community on April 24 and was organized by the Armenian Genocide Commemoration Committee of Western US—a grouping of 19 organizations. Before setting off, the crowd heard messages of support from community leaders and elected officials. 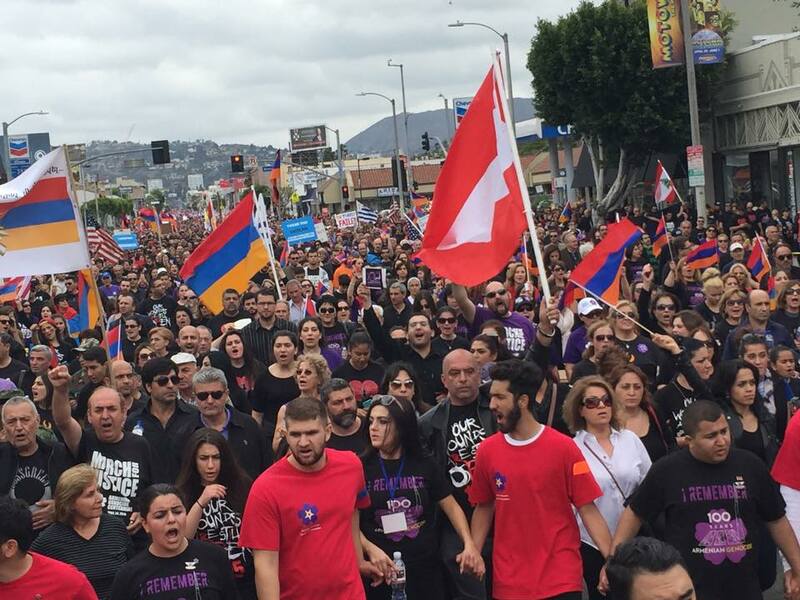 Los Angeles Mayor Eric Garcetti spoke to the tens of thousands of people gathered, calling for the recognition of the Armenian Genocide. 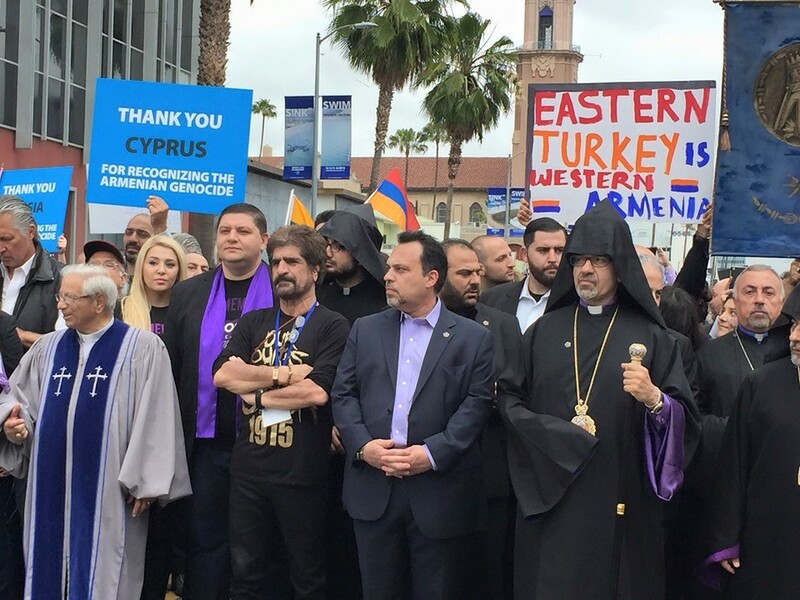 Also speaking at the onset of the march was President Pro Tem of the California State Senate Kevin de Leon, who expressed his solidarity with the Armenian community and its demands for recognition of the Armenian Genocide and justice for the crime. 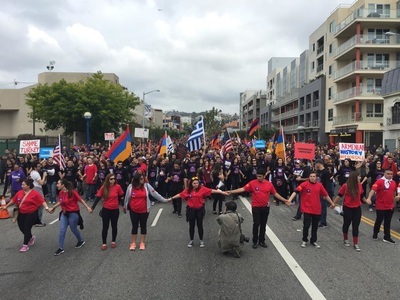 The program ahead of the march also included remarks by AGCC chairman Garo Ghazarian and Unified Young Armenians leaders Aroutin Hartounian, Milena Mayilian and Vilen Khachatryan. 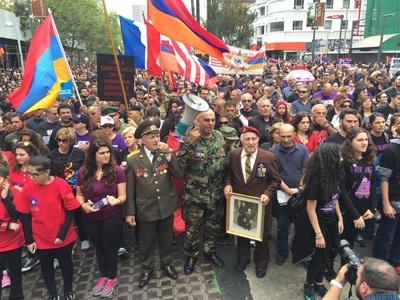 During the program singers Armenchik and Razmig Mansourian also performed. 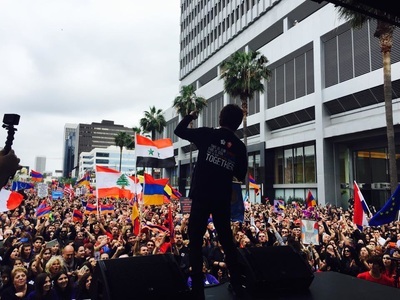 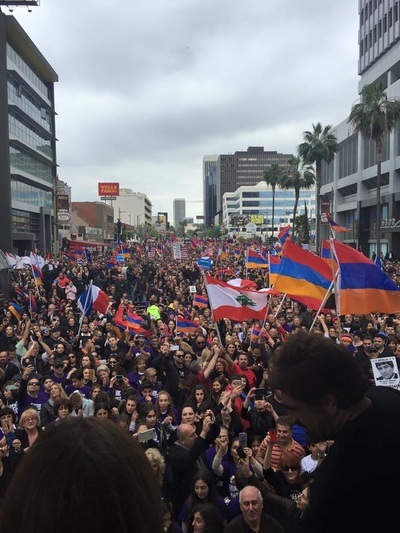 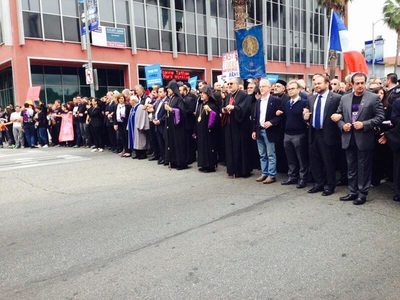 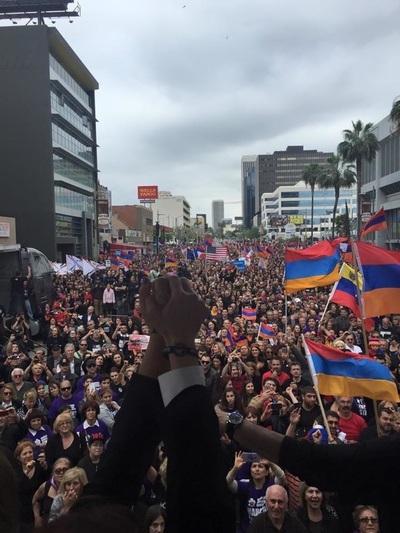 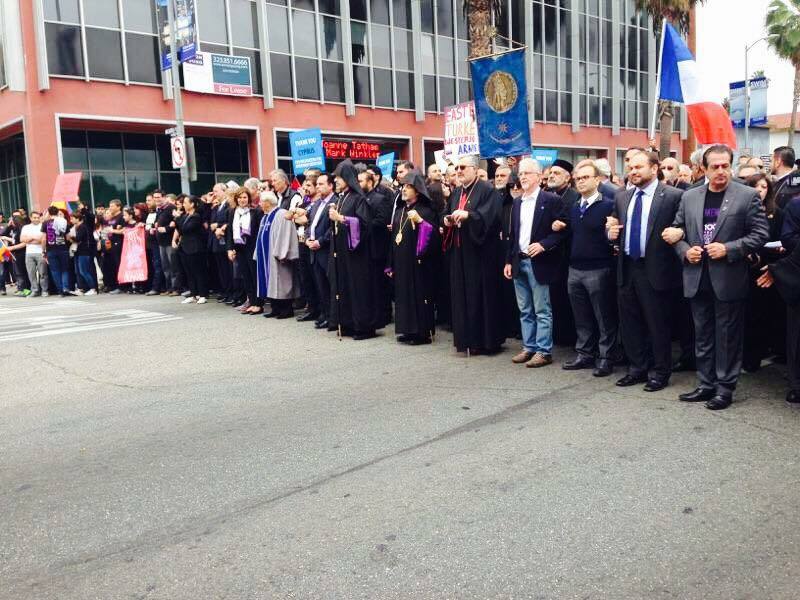 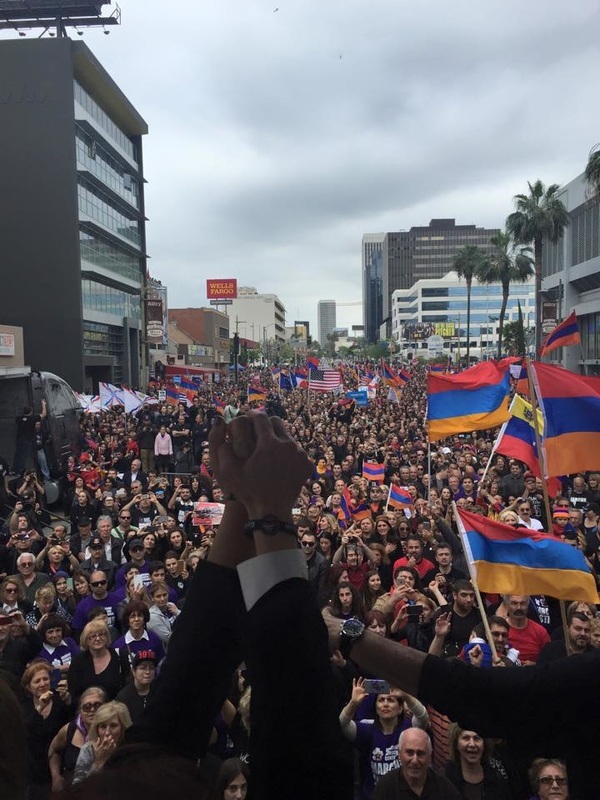 As the March came to its end in front of the Turkish Consulate on Wilshire Boulevard, singer Harout Pampoukjian took to the stage and performed renditions of patriotic Armenian songs. 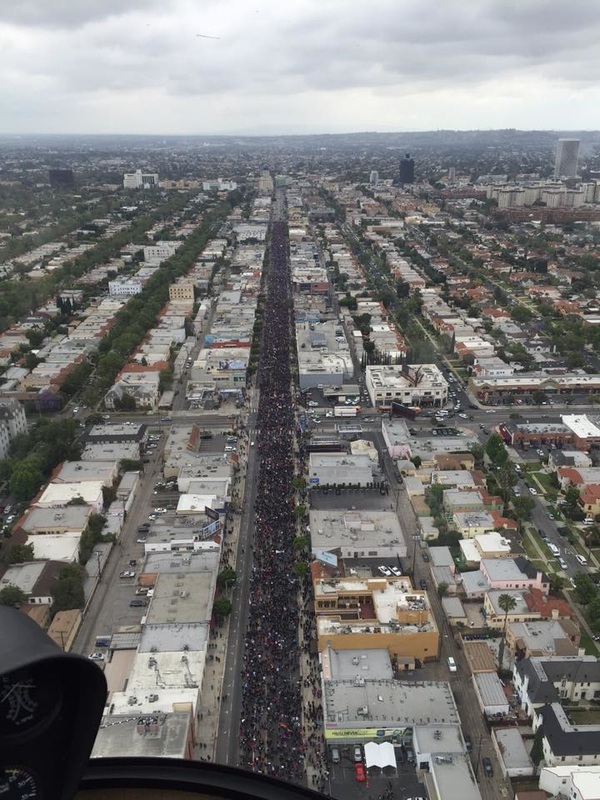 When the march came to a full stop, public officials addressed the 130,000-strong “mass of humanity,” as LA City Councilman Paul Krekorian described it. “As I look down Wilshire Boulevard, I can’t see the end of this mass of humanity,” Krekorian said, explaining how proud he was at the number of people who turned out. 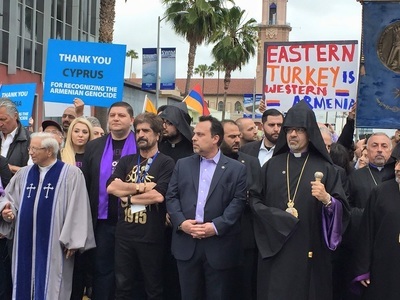 Krekorian described the story of his grandmother and her brother, a professor in Turkey who was arrested, tortured, and killed by the Turkish government at the start of the Armenian Genocide.